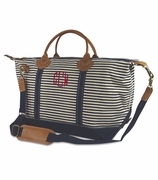 Monogram canvas beach tote with stripe. A summer day on the beach demands a durable, yet... eye catching tote. Charming and fun, just the right size for an individual to carry, magazines, water, suntan lotion and towel. Manufactured from canvas, the bag is comfortable to carry and will hold all your beach necessities. Traditional rope handles with grommets accent the bag, and a front open pocket will easily keep your cell phone handy. Natural cotton canvas with choice of royal stripes. NOTE...EMBROIDERY WILL BE PLACED ABOVE THE STRIPE. 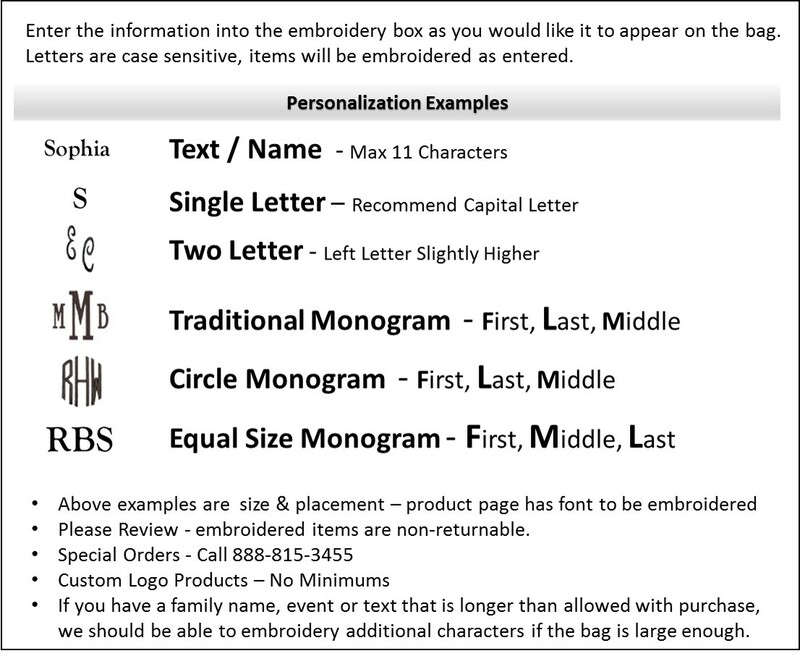 Personalized embroidered canvas beach tote measures 17"W x 14"H x 6" across bottom. Unlined, one inside wall zip pocket, open tote. Back side of tote is solid natural canvas.